There are a number of characters in the Harry Potter books that may have served as a sort of father figure to Harry Potter at some point or another throughout the story. But according to a new essay shared by author J.K. Rowling, it's Albus Dumbledore and Rubeus Hagrid whom she believes represented the father figure Harry was searching for. And as it happens, the clue to this was in their names. These two men, both hugely important to Harry, seem to me to represent two sides of the ideal father figure he seeks; the former is warm, practical and wild, the latter impressive, intellectual, and somewhat detached. To convey their opposing but complementary natures: red meaning passion (or emotion); white for asceticsm; Hagrid being the earthy, warm and physical man, lord of the forest; Dumbledore the spiritual theoretician, brilliant, idealized and somewhat detached. And of course, the topic of alchemy is addressed in Harry Potter and the Philosopher's Stone, as the titular stone was believed to have the ability to turn metal to gold, along with offering eternal youth. Rowling didn't really go that far in depth on the subject of alchemy in Book 1, only seeming to delve into it as much as necessary to tell the story of Harry's first year at Hogwarts, and his and his friends' efforts to thwart Lord Voldemort from obtaining the stone and using it to bring himself back to full strength. It's interesting to know that the subject has a tie to Hagrid and Dumbledore's names, and even more fascinating to know that Rowling sees these two characters as being the combined father-figure Harry Potter sought, in absence of his own. In the book, Hagrid is presented more as a friend, or perhaps a distantly related uncle. His fondness for Harry is expressed from the very beginning of the series, as he's the one to take Harry from Godric's Hollow and bring him to the Dursley's house. 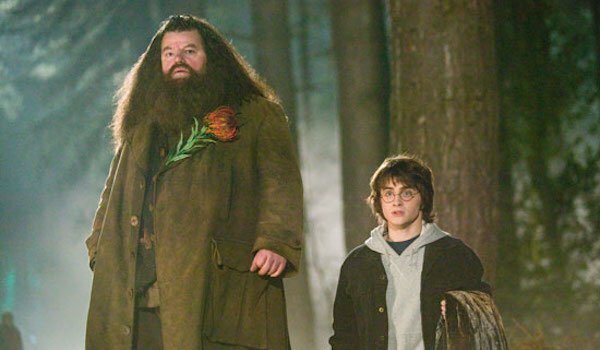 Hagrid was also the one to reveal to Harry that he's a wizard, and introduce him to the magical world Harry didn't know existed until he was eleven. 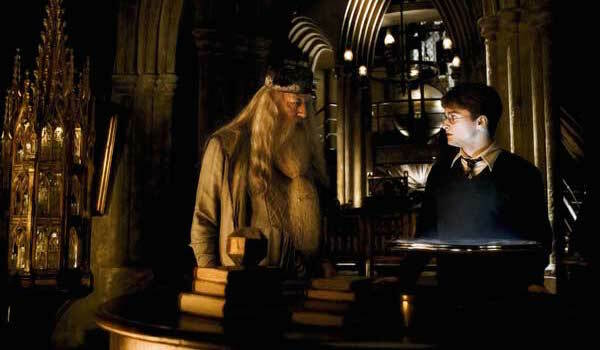 On the other side, we have Dumbledore, who watched over Harry and made every effort to see that he was protected. but as Rowling herself notes, Dumbledore was the impressive and "somewhat detached" side of Harry's ideal father figure. It seems fair to say that if Harry were to put one of these two men on a pedestal, it would be Dumbledore. And if he were looking for a friend or a shoulder to cry on, it's easy to see him turning to Hagrid. Put together, the two characters do seem to be the ideal father figure. Both lived in the place Harry called home for a good portion of his adolescence, so it makes even more sense that they would stand out in Rowling's mind as two somewhat consistent and present father figures to Harry during his adolescence. Of course, it's difficult to talk Harry Potter father figures and not want to give a nod to the likes of Remus Lupin, Sirius Black and Arthur Weasley, all of whom offered Harry guidance and affection at some point or another. James Potter certainly deserves a mention as well, as he died trying to protect his wife and son from Voldemort. Check out 6 more fascinating Harry Potter facts from J.K. Rowling's new essays here.